Galloway Township News has obtained through an Open Public Records Request to the Township Clerk, photographs taken by Galloway Police and Township Officials that forced the shut down of AJ's Cafe' on the Lake. 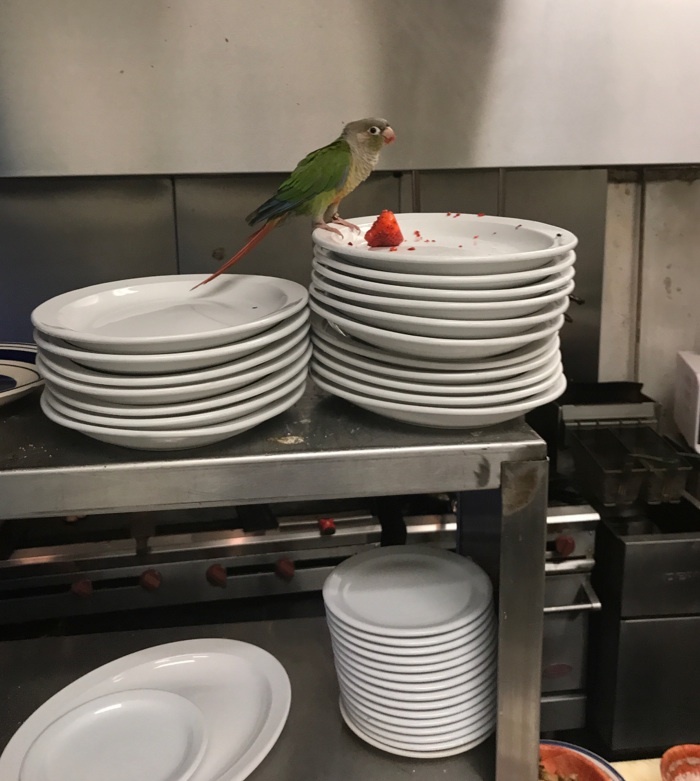 On Friday September 29, 2017 at 12:08 p.m., the Galloway Township Police Department responded to AJ’s Café on the Lake, for an unrelated incident when they observed numerous animals loose inside the restaurant, specifically the kitchen and food preparatory area. According to the Galloway Current, co-owner Jacob Cohen denied the allegations that "animals were loose or in the kitchen." Cohen further stated to the Galloway Current that the three pet birds "visited" and "were kept in cages" including the stray cat. 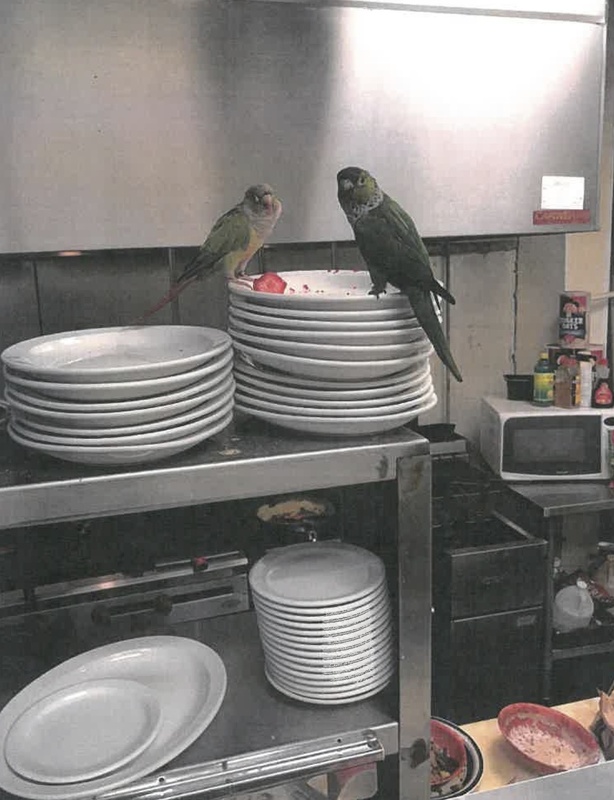 According to Township Officials numerous animals to include three (3) exotic birds and a cat were gathered and turned over to a friend for safe keeping and care-taking while the restaurant was closed up and posted by both Township Code Officials and the County Health Department. Galloway Police Chief Donna Higbee stated photographs and other evidence substantiate the charges. Galloway Township News has obtained the photographs and a response from the Township that no mercantile license has ever been issued to AJ's for either 2015, 2016 or 2017. 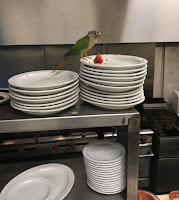 Photographs released by the Township appear to show at least two of the exotic birds enjoying a strawberry on a stack of restaurant plates and the stray cat hanging out in a box on a freezer next to canned foods in the pantry/kitchen area. 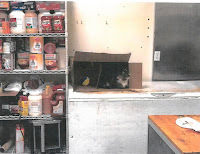 A litter box also appears in the pictures below a wash sink in the restaurant area. According to Township documents, Jacob Cohen did submit an application for a mercantile license on May 25, 2017; however, that application is still pending as the Township Fire Official and Construction Official have not approved the license to be issued. The restaurant was found to be operating without a Township approved mercantile license and was immediately shut down and the County Board of Health was contacted to respond. Staff and patrons were sent home and the restaurant owner has been charged accordingly by the Police Department. This location will be closed to the public until further notice as it has been deemed unsanitary and an unsafe structure for human occupancy. Additional pictures as released by the Township, which includes the stray cat loose in the restaurant, are included below.